Presa TC100W is a new member of Presa Series, it equipped with 100W high power output so that it can meet most vapers’ demand. It has a temperature control system which allow you to adjust the temperature easily. Presa TC100W also features a magnetic back cover and 0.96 inch OLED Screen, and you can read the parameter really clearly on it. In addition to that, it also has two single cells for you to choose, which respect are 26650 and 18650 cell, you can choose your favorite one. 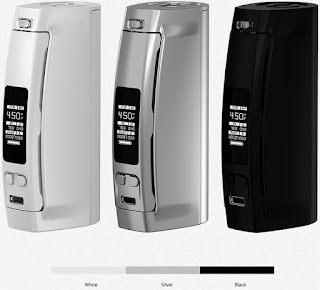 What’s more, it has an upgradeable firmware, and add a TCR mode, and I believe that once you have a try with it, you will have a perfect vaping experience you never have before.